May buy 1 for yourself and 4 additional as gifts. May redeem 1 per person. Valid for new clients only. All classes must be redeemed by same customer within 90 days of first visit. May attend 1 class per customer, per visit. Class availability is first come, first served. Valid only at location selected at checkout. Expires 4 months after purchase. See the terms that apply to all deals. 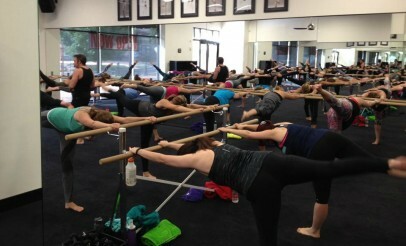 Barre is a combination of Pilates, Yoga, and Ballet, and will work virtually every muscle in your body. It is great for toning legs, arms, abs, and torso, and will improve your balance and flexibility as well! Megan and Shantel started Cardio Barre Quarry Bend and Cardio Barre South Jordan after trying everything from Pilates to CrossFit, but not finding what they were looking for. In addition to offering excellent Barre classes, Cardio Barre provides complimentary child care so those with children can also enjoy the benefits of Barre.